Corey has had great success in the show ring acheiving multiple in show awards. 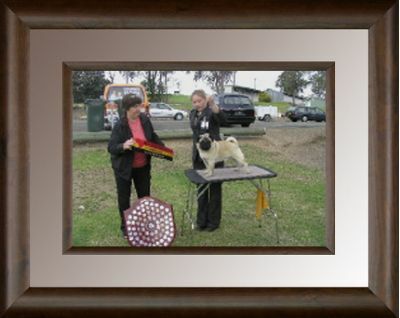 His highlight would be taking BEST IN SHOW at the NSW Pug Dog Club in 2003 under Mrs Banks (NSW). He is a gorgeous & sound moving boy with a beautiful expression. Corey's litter brother Aust CH Troycole Law N Order also had great success in the show ring. Corey has sired multiple Australian Champions and has made a huge contribution to Troycole Kennels. He has left a great mark with all of us at Troycole Kennels.